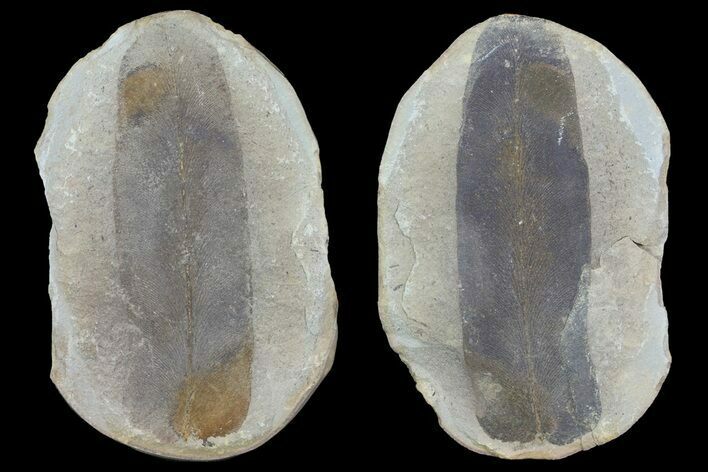 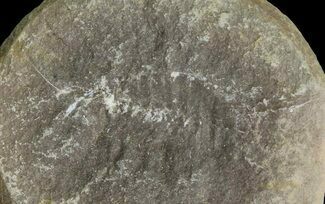 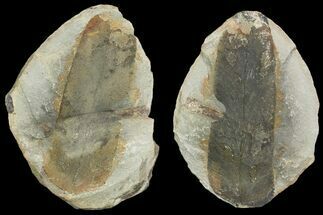 This is a very well defined of a fossil leaf of the seed fern Neuropteris. 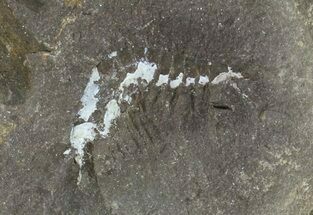 It comes fromthe famous Mazon Creek Lagerstätte. 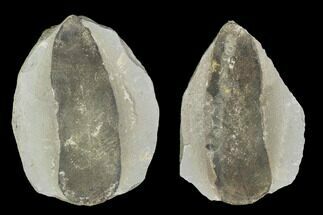 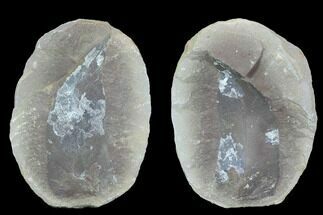 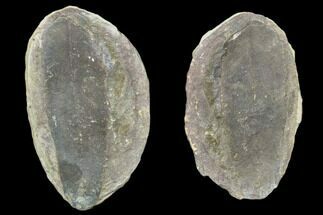 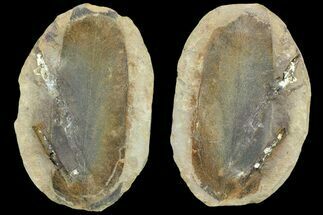 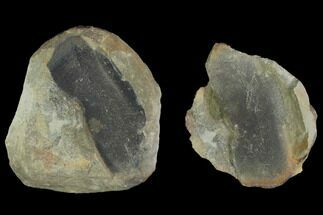 It has remarkable detail and contrasts very well with the ironstone nodule that it is preserved in. 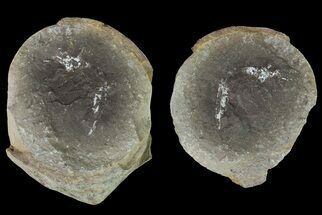 These ironstone nodules have been collected for decades from the spoil heaps of abandoned coil mines near Braidwood, Illinois.